Check Out The Next Crowning Of Miss Shoreline! The Miss Shoreline Scholarship Program was established in 2005 and is focused on empowering young women to pursue their education while developing important interpersonal skills and giving back to their communities through their personal platforms. They aim to provide participants with a unique experience for personal and professional growth while earning educational scholarships as a licensed affiliate of the Miss America Organization. 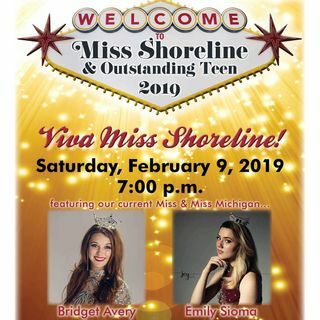 The Miss Shoreline Competition is open to young women ... See More between 17-25 years of age, and The Miss Shoreline's Outstanding Teen Competition is open to girls between 13 and 17 years of age. Contestants must have resided in Michigan for the 6 months prior to the competition date and have no criminal record. If you are interested in competing, please submit the required forms and information no later than 1/28/19. You may find information on competing at www.missshoreline.org and click on "compete. "The young women crowned Miss Shoreline and Miss Shoreline's Outstanding Teen will promote their personal platforms throughout their reign while also serving as ambassadors for Miss America's national charity, Children's Miracle Network. Morgan Buck dropped by West Michigan Live to talk about the crown of the next Miss Shoreline and how you can attend!